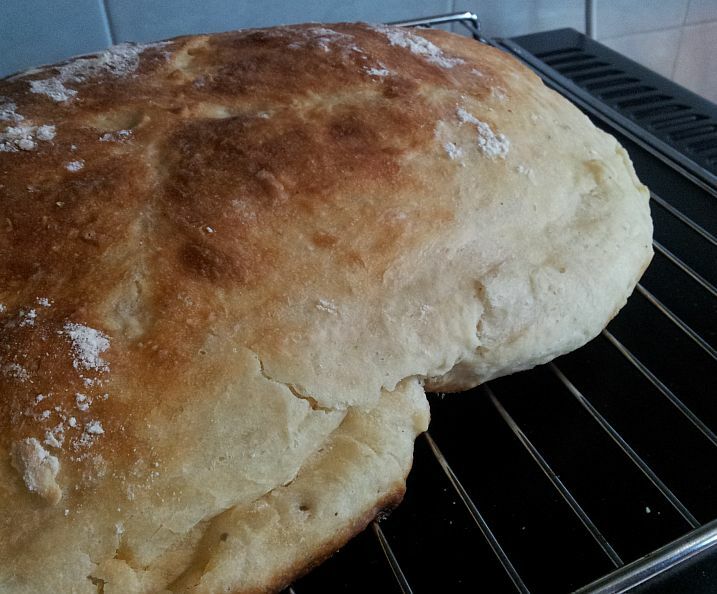 Recently I have been fulfilling my dream in making my own bread, without getting a bread machine. 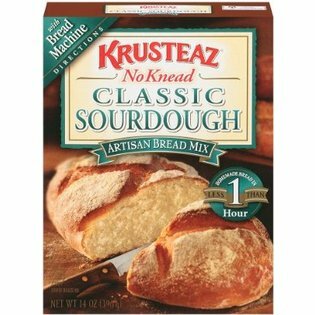 I insisted on not buying one as a bread machine is huge and it takes up so much space. Since my last post on baking plain white bread, I decided to do the lazy way by just making sourdough from the premix. 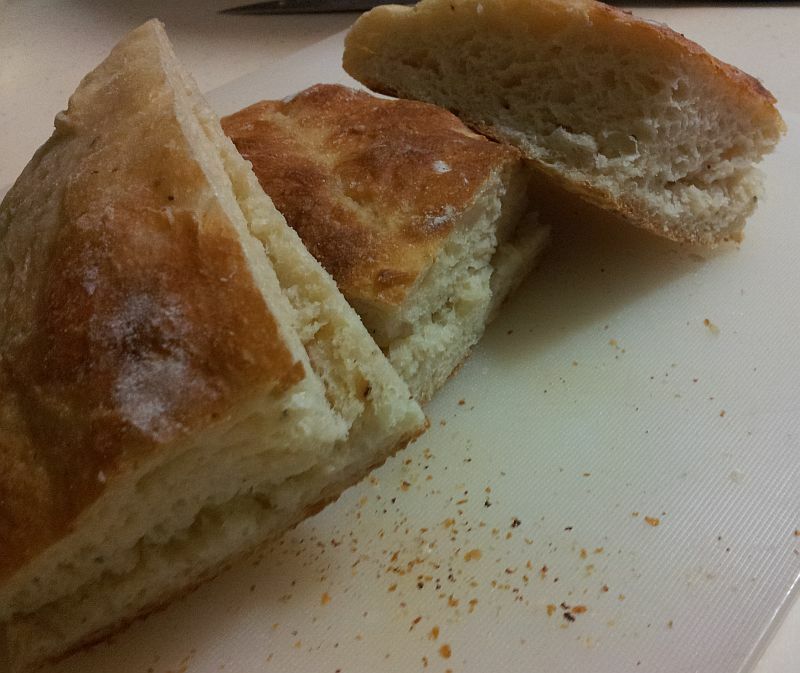 And what's best about this is that, it does not require any kneading. So its so simple and effortless! I got this from Cold Storage Supermarket. Just follow the simple instructions in the box and voila! There's even instant yeast provided in the box. So all you need is just warm water. 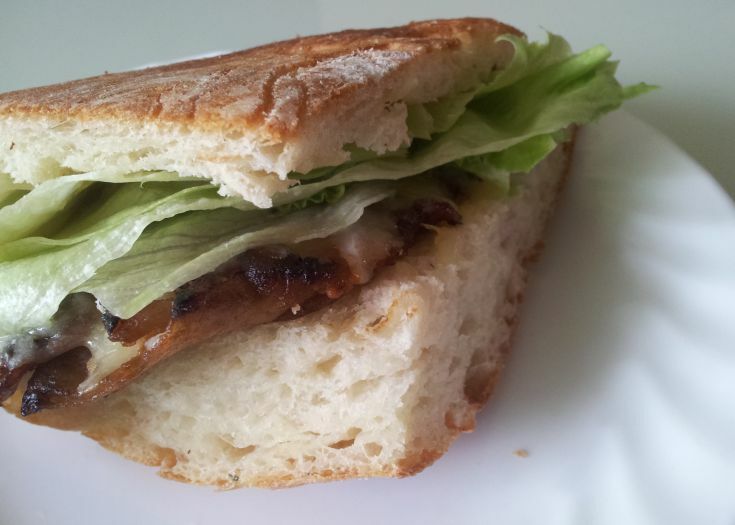 I was very happy with the results as its nicely crisp on the outside and soft on the inside. Great for sandwiches! I cut it up and placed them in the fridge for the next day's breakfast. 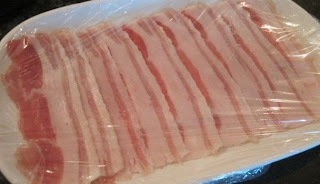 The next morning, I took out slices of pork belly in my fridge which was leftovers from steamboat last night. So it was perfect. I just grilled this and brushed over some maple syrup on it at the very last few mins before it is done. Finally, I put on top of my sourdough and let it melt together with my shredded cheddar cheese by popping the bread into the oven together with the maple-glazed pork belly and cheddar cheese on top to let the cheese melt and to just heat up the sourdough. After the cheese is melted, remove them from the oven and put some iceberg lettuce in it! You have the sour-ness from the bread, sweetness from the maple syrup in the pork belly, the saltiness from the cheddar cheese and the crunchiness from the iceberg lettuce! Perfect meal for breakfast or lunch!